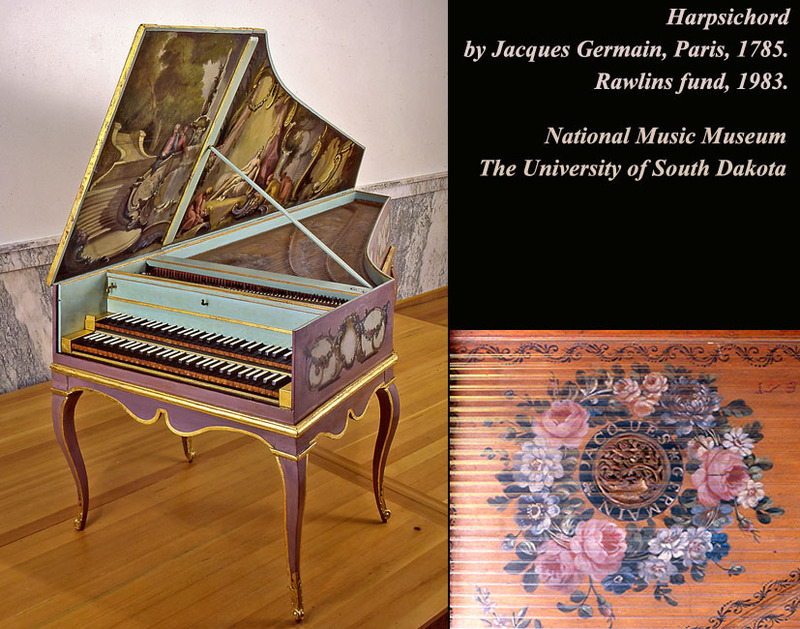 This harpsichord features the standard late-18th-century French disposition: two manuals with compass FF to f3; lower manual with quilled 8′, a peau de buffle 8′ (plucking the same set of strings as the quilled 8′), and 4′; upper manual with 8′; buff to the upper 8′; and shove coupler. 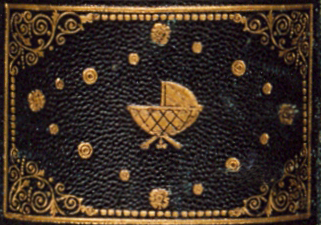 Presumably, the registers were originally controlled by genouillères (knee pommels). The keyboard naturals are made of ebony, while the sharps consist of hardwood stained black and covered with bone slips. Although the instrument was unsympathetically rebuilt in the early 1950s, these alterations were reversed by Hugh Gough, from whom the NMM acquired the instrument in 1983. 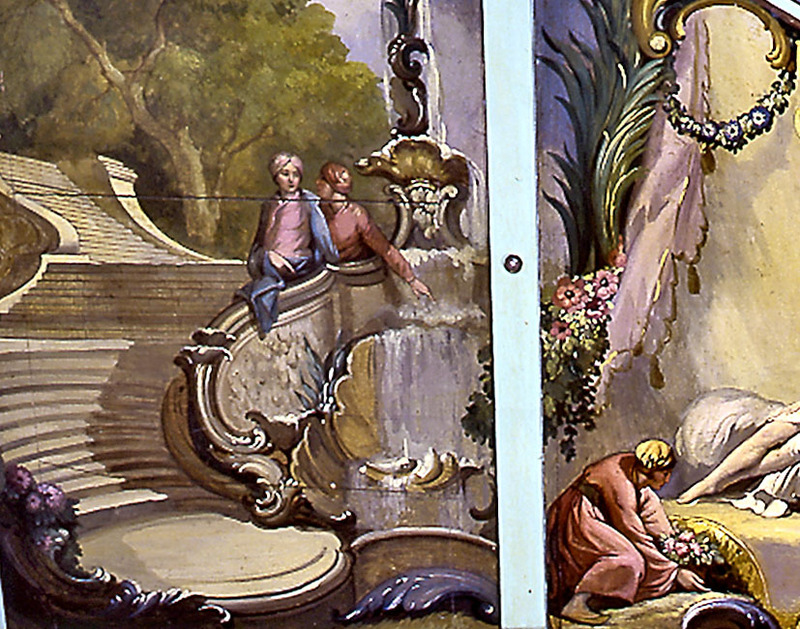 The soundboard, with its beautiful original decorative painting, is in an excellent state of preservation, as are the keyboards and the major components of the case. 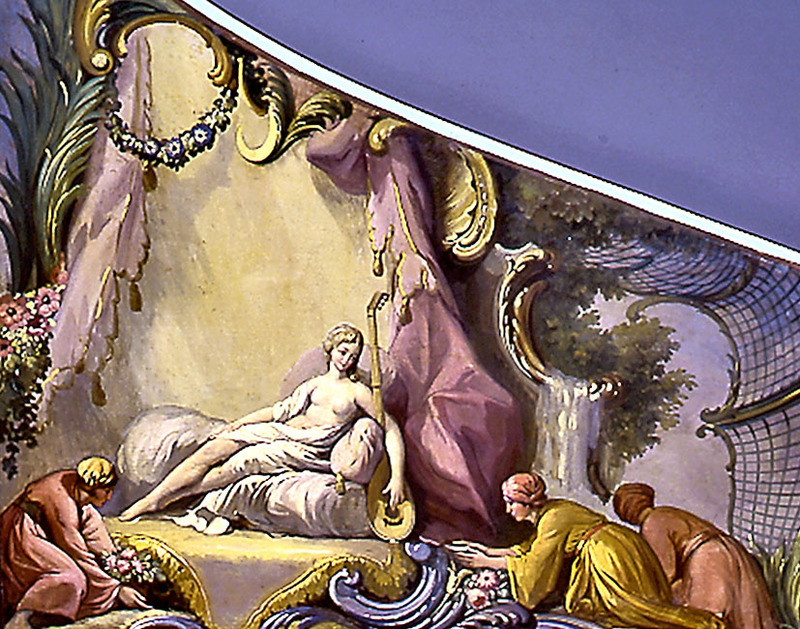 The Louis XV-style case is original, while the painted decoration on the case exterior and interior of the lid is an early-twentieth-century “enhancement.” Most importantly, the instrument retains the superb, refined tone that is so characteristic of the 18th-century French harpsichord. Purchased in 1983 from Hugh Gough, Inc., New York, New York. 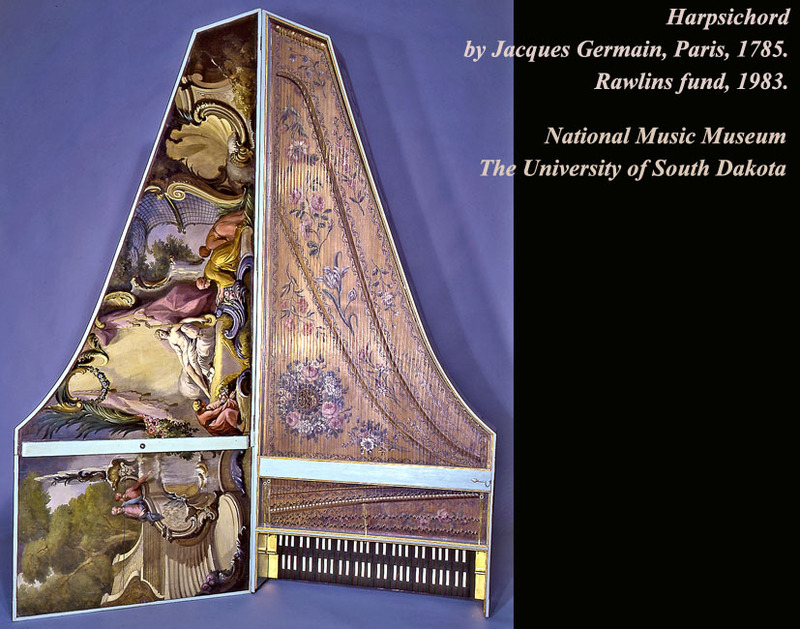 In the 1920s the harpsichord was in the Marcel Salomon Collection/Gallery in Paris. Around 1930 it was purchased, presumably from Salomon, by Leander Sherman of the Sherman, Clay Music Company, San Francisco, California. By 1950 the harpsichord was in the possession of Fred R. Sherman, son of Leander Sherman. On March 31, 1950, John Challis in Detroit purchased it. In 1952 Challis sold it to E. McElwee of Hagerstown, Maryland. Tom and Barbara Wolf acquired the harpsichord at the McElwee estate sale. In 1981 they sold it to Hugh Gough, Inc., New York City.